Babies Eat Braincells: I maed dis! 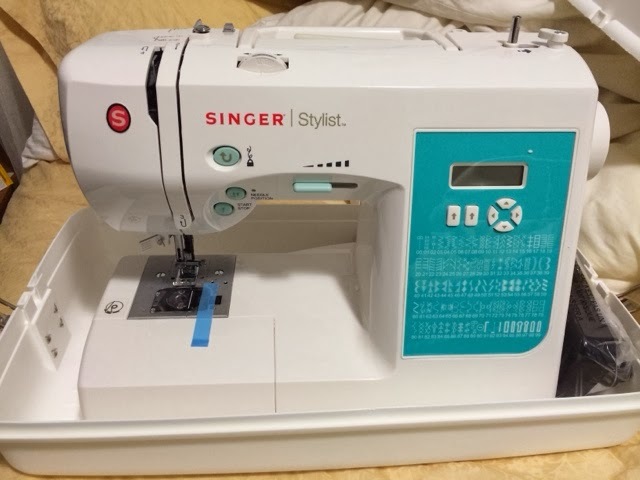 I got Cookie, my new sewing machine, for Christmas. I then went on a mission to learn how to sew stuff. My gram has been sewing amazing stuff since before I or even my mother was born. I want to learn how to sew like that! 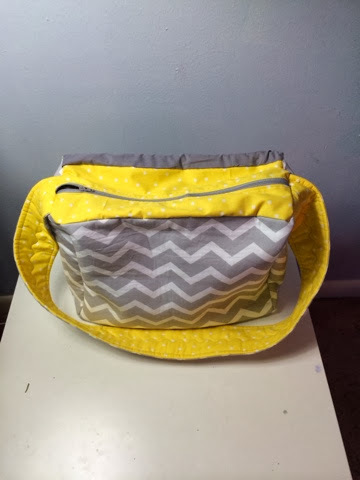 My first real project was a diaper bag. I found a cute pattern for one I liked, but it lacked a few features I wanted, so I thought I'd try to improvise. I had a few diaper bags already, but they were huge, and I just didn't need bags that big. 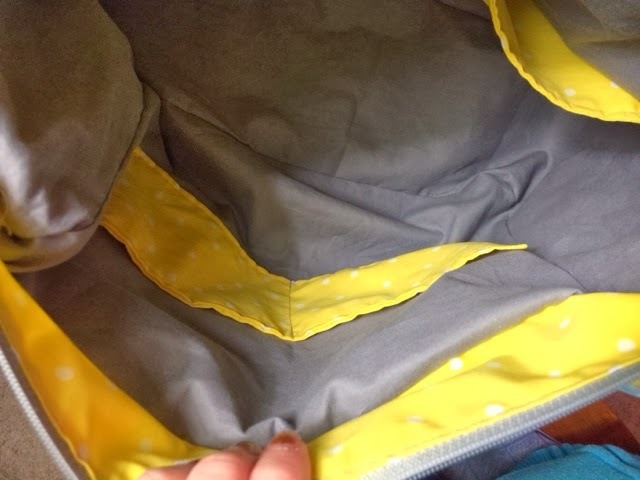 I don't formula feed or even bottle feed breast milk, so I don't need the 40 bottle and formula storage pockets, my kids always refuse pacis so I don't need those little pockets. I just needed some space for diapers, wipes and spit rags. 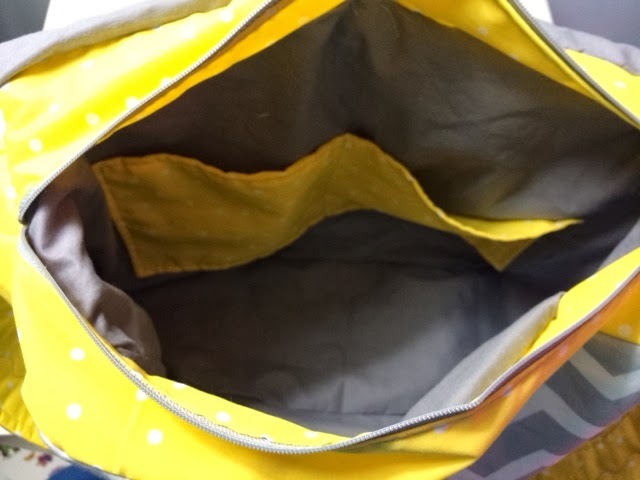 So when I found a tutorial online for a kid size messenger bag, I was happy! I went a little crazy buying sewing supplies and fabric, but we just counted it as part of my Christmas presents, haha. I ended up doing a much better job than I expected to for my first major project. Well, by that I mean the finished product looks much better than I expected it to. Let's just say the seam ripper and I are great friends, and after a few hours of banging my head against the wall, I learned that using your zipper foot backwards does NOT produce desirable results. Lessons learned! 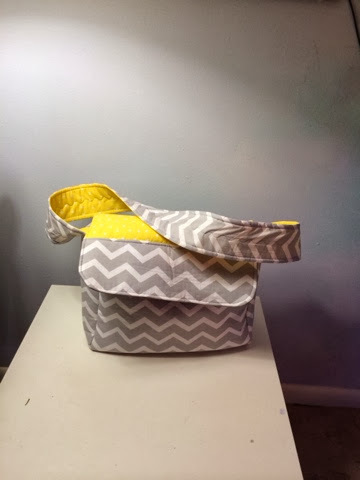 And then with the extra fabric I had left over, I also made a matching wipes case (one big enough to hold the BJs size wipes without me having to cut open a bag every time!) and a changing pad. Objects appear smaller than they actually are. 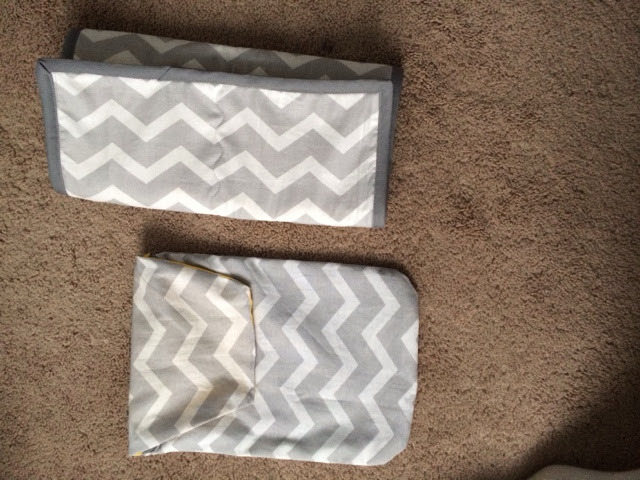 The diaper pouch is 11"x6" and the changing pad is 12"x 24". 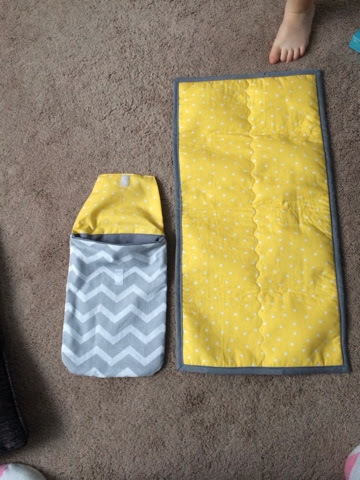 Great choice in cheerful non-baby fabrics and from my viewpoint, flawless! Your grandma's generation were truly amazing when it came to sewing in many cases. In my generation we all had to sew in Home Economics classes and a few became amazing. I stayed mediocre but that was by choice. The problem has become that it's cheaper to buy most things than it is to buy fabric, buttons and zippers. Fabric stores are an endangered species! Wow!! Those are awesome!!! How did you find the time!!?? Id go crazy trying to do that!